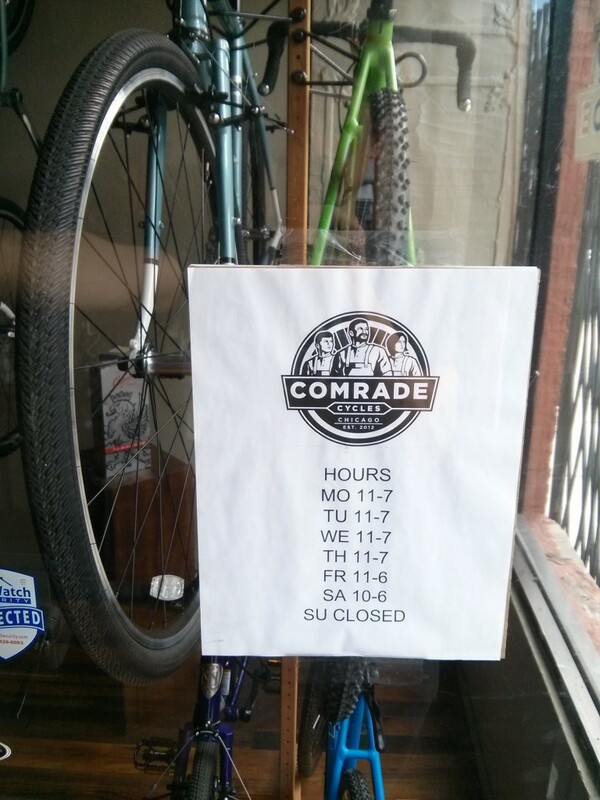 We could wax poetic about embrocation and what pressure we’re running, but instead we’ll just say that with cyclocross comes shorter shop hours. We close on Sundays to allow us time to race in the Chicago Cyclocross Cup, and shorten the days by an hour to reflect the changing workload. Thanks for the support, now come out and heckle us at the races.